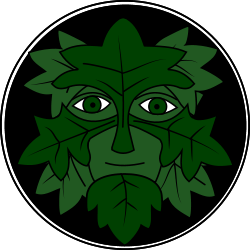 Introducing Green Man Sword – a new mixed sword team, bringing together experienced and beginner sword dancers. We are based in Ewell Village, close to the London/Surrey border and practise on Tuesday evenings in the village from 8-10pm – find out more about joining us. We welcome new dancers and musicians – no experience is necessary and we have an expert tutor on hand to guide you. Rapper sword is a fun and fast-paced style of dance with interconnected dancers using a ‘rapper’ or short sword made of flexible sprung steel with a handle at each end. Its origins lie in North East England but it is now danced across the globe. Rapper is typically danced inside whereas longsword is generally an outdoor dance – giving plenty of scope for us to dance the whole year round. The UK has a strong tradition of Longsword dancing, with dances originating from the North of England and Scotland. Longsword is a linked sword dance with dancers dancing as a team, weaving over and under the swords. The dance usually ends in a lock when the swords are woven togther, often in a star shape – and don’t worry, the ‘swords’ are actually blunt strips of steel.